Charred wood, roasted pecans. Chocolate-covered coffee beans. Faint whiff of prunes. On the palate, black coffee with a touch of sugar, an underlying sharp grain bitterness, and a pronounced hop bitterness. Iced coffee without the cubes! This one would stand up to Texas barbecue or Italian Osso Bucco and would play very nicely with a boozy bread pudding. 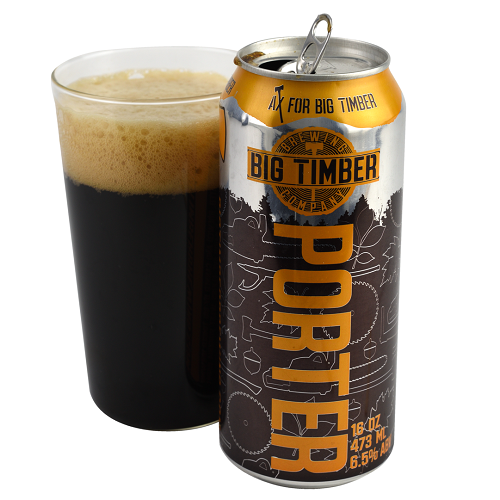 This porter pours brown nearing black, with a head that doesnt stick around. The aromas of roast and chocolate are happy to, though. A trail of smoke follows French roast coffee, but there is enough of a citrus and pine presence to make you wonder if youre veering into black IPA territory until sharp roast snaps you back into Porter Land. For those who prefer the burnt, slightly bitter char of brownies from the edge of the pan instead of the sweeter center, this is your beer.